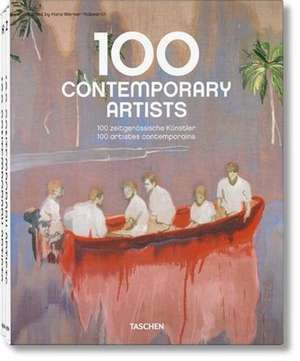 This special two-volume edition features 100 of the most exciting artists from TASCHEN s seminal Art at the Turn of the Millenniumand the renowned Art Now! series - gathered in a comprehensive survey of contemporary art at the start of the 21st century. The selection includes a wide variety of works by pioneering artists like Jean-Michel Basquiat, Marlene Dumas, Damien Hirst, Mike Kelley, Jeff Koons, Albert Oehlen, Richard Prince, Charles Ray, Cindy Sherman, and Christopher Wool - alongside a younger generation including Glenn Brown, Natalie Djurberg, Tom Friedman, Mark Grotjahn and Terence Koh. Ediția: Nachauflage. 25 Jahre Taschen.